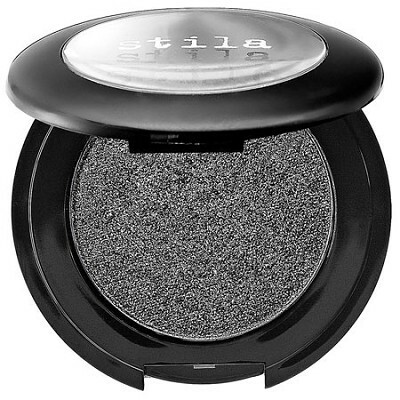 A lustrous luxe shadow that glistens like a jewel and feels like a dream. This sheer talc sweeps over lids with continuous color and a silky-smooth texture that feels weightless, and looks glamorous. Choose from 8 sparkly shades. TALC, Calcium Sodium Borosilicate, Dimethicone, Diisostearyl Malate, Zinc Stearate, Caprylic/Capric Triglyceride, PHENOXYETHANOL, CAPRYLYL GLYCOL, HEXYLENE GLYCOL, Tin Oxide, May Contain [+/- ] MICA, TITANIUM DIOXIDE (CI 77891), IRON OXIDES (CI 77491, CI 77492, CI 77499), BLUE 1 LAKE (CI 42090), CARMINE (CI 75470), YELLOW 5 LAKE (CI 19140), Ultramarines (CI 77007), Manganese Violet (CI 77742), Bismuth Oxychloride (CI 77163).